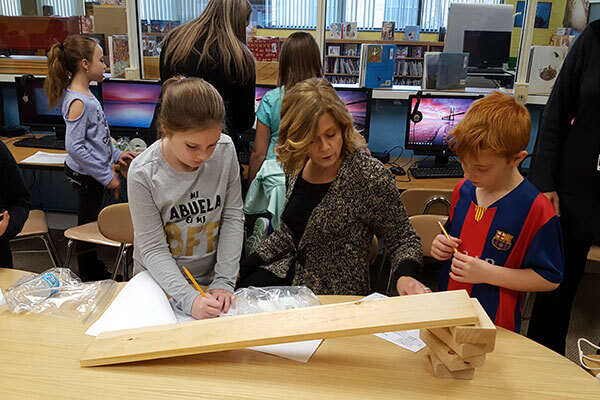 Sanfordville third-graders recently worked on the Engineering is Elementary (EiE) unit “Marvelous Machines: Making Work Easier” with Instructional Technology Facilitator Mr. Dan Lennane. The unit focuses on ways in which we can make our lives easier using simple machine and subsystems. The students began the unit by reading a story about the Cape Cod Potato Chip factory. The workers there were trying to find easier ways to move and lift heavy bags of potatoes, which they accomplished by using various types of simple machines. Students learned about assembly lines, and how they can make work easier. During this activity, classes followed a specific set of directions to make a folder. They shared materials and worked in groups to make as many folders as possible in 10 minutes. The students found that while working alone and sharing materials, not many folders are made. The students then work in an assembly line to make the same folders, which ends up with a greater number being made in the same time frame. 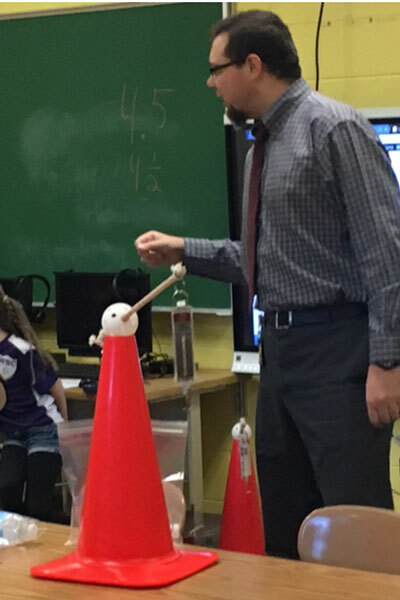 After this, students use different types of simple machines to see how much force is needed to lift or move a load (in this case they are moving a full water bottle). They work in pairs to analyze what kind of machines require less force, and to see if variations of a machine yield different results (like a single pulley vs. a double pulley, or a long ramp vs. a short ramp, etc.). 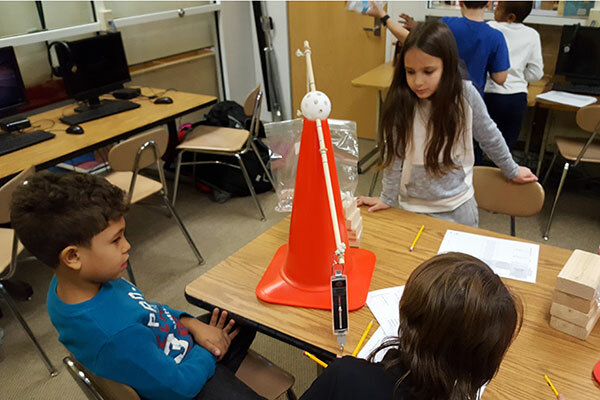 The final lesson ties everything together as the student must design a subsystem to move a heavy load from the floor onto a table. They must meet certain requirements while doing this. They also have a fictional budget, and must stay within that budget while designing their subsystem. Students are given time to go back and revise their subsystem if needed.